A Maryland woman says she never wants to have kids again after learning the doctor she had when she delivered her baby did not have a legal medical license. "I'm scarred for life. I do not want any more kids at all because of that. And I do not trust any male doctor at all anymore," Jazmine Tinsley said. Tinsley is a young mother from Capitol Heights, Maryland, who is part of a group of women suing Prince George's Hospital Center after discovering their obstetrician, Dr. Charles Akoda, faked his identity to obtain a medical license. Tinsley gave birth five years ago. "During my delivery, I thought I was losing my life. So, the fact that I'm just finding out that this man was a fake at the end of the day is really hurting me because everything that I went through with my delivery, and afterwards when it came to my health, has still damaged me still to this day," Tinsley said. According to the U.S. Attorney's Office, Akoda's real name is Oluwafemi Charles Igberase. He pleaded guilty on Nov. 15, 2016 to misusing a Social Security number to fraudulently obtain a Maryland medical license. According to his plea agreement, Igberase entered the United States in October 1991 on a non-immigrant visa and repeatedly used fraudulent Social Security numbers and fake information throughout the '90s to practice medicine and get into a residency program in the U.S. Prosecutors said Igberase was dismissed from a residency program in New Jersey in 2000 after officials learned the Social Security number he used didn't belong to him. 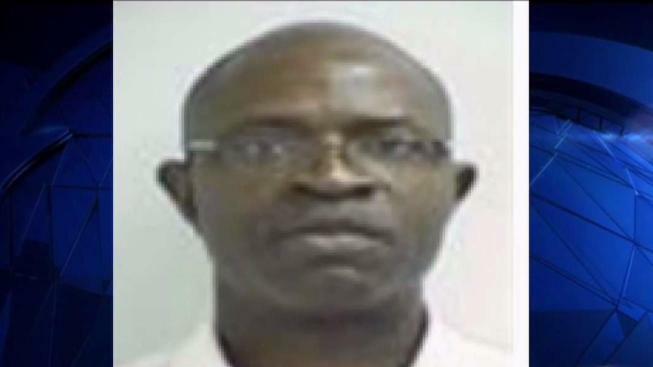 In 2011, using a fraudulent Social Security number and other fraudulent documents in the name Charles John Nosa Akoda, Igbergase obtained a medical license in Maryland. He went on to practice obstetrics and gynecology and obtained medical privileges at Prince George's Hospital Center. The lawsuit claims the hospital failed to do its homework and Igbergase also used fake immigration documents, medical diplomas, letters of recommendation and birth certificates. "Maybe they should have checked his Social Security number. They would have learned that he's a fraud," attorney Jonathon Schochor said. "We're suing them because they had an absolute obligation to complete a thorough, appropriate background check on this physician, on this OB-GYN, to make sure he was not a fraud." Prince George's Hospital Center emailed News4 a statement saying Akoda had physicians licenses in good standing in Maryland and Virginia. "We are disappointed that our expectation of integrity was not met in the case of Dr. Akoda given his complex sophisticated identity theft scheme," the hospital said.